Your pet isn’t just a pet, they’re part of your family and like your family, they should be comfortable in your home too. Since cats and dogs spend most of their time wandering your home, pawing around with floor underfoot, it’s important to keep their comfort in mind when choosing flooring. 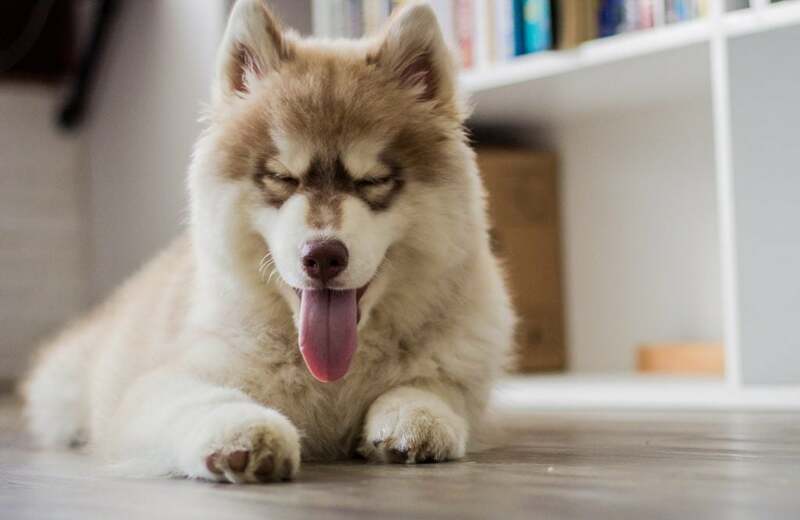 However, pets can also cause damage to certain types of floors, so it’s also very important to keep several things in mind in order to keep your floors looking great. When it comes to scratches, nails are certainly a concern and the damage may depend on the size, weight and nail length of your dog. With cats, traction is very important, choosing a floor with good traction will allow your pet to move around your home freely and safely. 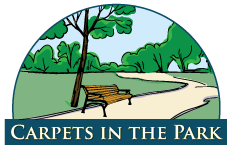 It’s easy to assume that carpet and pets just don’t mix very well considering how difficult it used to be to keep carpet clean even without a pet – but the truth is, they enjoy and love carpet just as much as we do. New innovations have found ways to make carpeting more durable and stain resistant than ever before while providing soft, warm comfort for your pet and your feet. Best of all, there are a variety of carpeting options that are great for your pet without sacrificing style! Carpet is also a good option because of it’s ability to lessen the effects of allergies. A 15 year research study has found that carpet is shown to alleviate allergy and asthma symptoms by possibly trapping allergens and preventing them from becoming airborne. Learn more in our flooring and allergy article. Wool is a naturally stain resistant, durable fabric. Synthetic carpet fibers are trying to imitate the look and feel of wool carpet. Wool carpet is really a luxury good, and due to its high cost, wool only makes up about 1% of all carpet floors in the U.S. Wool carpet is a good option for pet owners simply because its durable and naturally stain resistant. However, given its high price and high-water absorption rate it’s probably better to pick a different option. Nylon carpet is the most durable and abrasion resistant carpet fiber on the market. It is slightly more durable than wool, and much more durable than the less expensive polyester carpet blends making it a great option for pet owners. We all know pets like to run around and scratch the floor, making durability necessary. Nylon is also very stain resistant, and doesn’t absorb moisture to the same degree as wool, making it easier to clean. Overall, nylon is more expensive than polyester, but less expensive than wool. It’s a great combination of price and durability. Mad scientists at Dupont locked themselves into their lab and concocted the carpet of the future. The carpet is made from recycled plastics and has a very “green” manufacturing process emitting 56% less greenhouse gas than nylon 6,6 carpet. Even better, Sorona carpet fiber uses no extra chemical treatments for stain treatment, meaning less dreaded VOCs than any other carpet type. Sorona is both extremely durable and stain resistant, making it ideal for a home with pets. 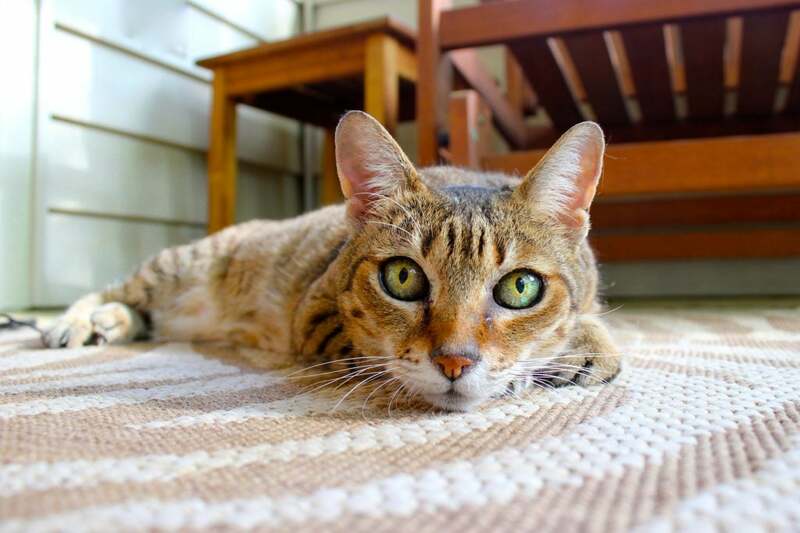 Choosing the best carpet pile type for your pet. For pet owners, not all carpet types are created equally. Many would recommend a Berber carpet for pet owners, but that would be a mistake. Pets like to scratch and claw at carpet. Berber is a looped pile could catch in their claws and tear up the carpet, creating permanent damage. We recommend the following carpet types for pet owners (Note: they are all cut pile. Meaning there are not loops to catch your cat or dog’s claws). Often cut at an angle, the pile of the carpet is great at concealing marks, and even stains. Saxony is a durable carpet style as well. Perfect for the dog or cat that likes to run up and down the hallway. The pile for Frieze is a little more wiry looking than Saxony, but it is also a tightly woven carpet style, which lends to its durability. Also, it hides wear and stains very well because of its frenetic pattern. To learn more, check out our Carpeted Flooring 101 guide. Hardwood floors are a classically beautiful favorite, able to upgrade any room in your home – sadly, certain types of wood can take an irreversible beating from your pet-friends. A good rule-of-thumb to remember is that the harder the wood, the more likely it is to resist scratches and damage. Stay clear of soft woods such as pine, chestnut, larch, hemlock and fir as they are more prone to dents and scratches – especially if you have a large dog. For pet-friendly wood, turn to harder options like oak, cherry, maple, hickory, walnut, mahogany or bamboo. Available in a variety of colors and finishes, easy to clean, and quite beautiful – hardwood floors are difficult to pass up on, but it’s important to remember that they can stain easily (if you aren’t able to pick up a mess or spill right away) and that salt crystals in pet urine can cause odor and stains to reappear over time. It is recommended to choose an option that is coated with urethane to make your gorgeous hardwood floors more damage and stain resistant. Laminate flooring is becoming an increasingly popular option for homeowner due to its great appearance and durability. 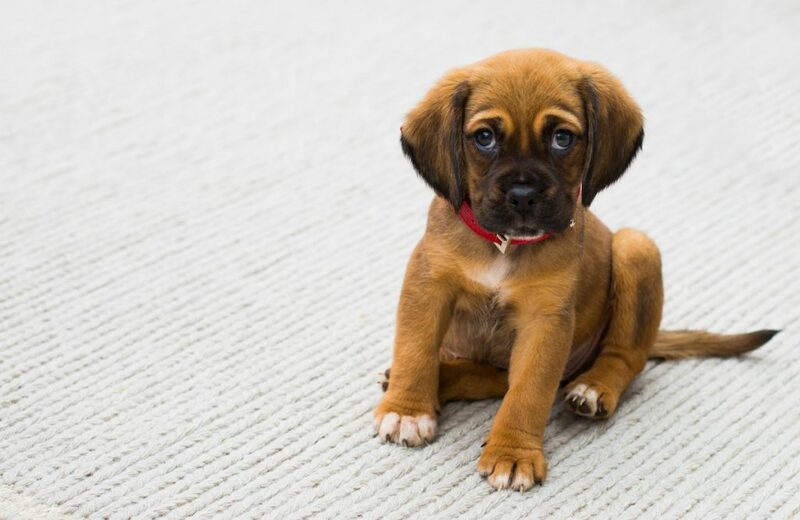 High-traffic areas of your home, such as entranceways, hallways, kitchen, living rooms and dining rooms (all the places your pet loves to be), require floors that can take a beating, be easily cleaned and resist water – laminate flooring does just that! There are two types of laminate flooring: engineered wood laminate and plastic laminate. Engineered wood laminate is made from real wood and is a favorite among homeowners who love the appearance of natural wood at an affordable price. Plastic laminate is entirely manufactured and strong enough to withstand moisture and pet claws. Plastic laminate has come a long way and is nearly indiscernible from its counterpart. With a variety of textures, finishes and styles – we can help you find the perfect laminate flooring for you and your pet! To learn more about laminate flooring, check out our Laminate Flooring 101 guide. Luxury vinyl tile (LVT) is the ideal choice for most pet owners. It is an extremely affordable option that can be installed nearly anywhere in your home. Vinyl also provides great traction for your pet to wander your home safely. Available in a wide variety of designs and styles, LVT is a durable option that doesn’t compromise on style. LVT is durable, easy to clean, water-resistant and incredibly affordable. With no need to worry about scratches or scrapes, LVT even promotes low levels of allergens and is incredibly quiet underfoot compared to hardwood or vinyl. LVT’s comes in a variety of styles from traditional to contemporary, and our experts can help you find the perfect flooring solution for your pet-friendly home!